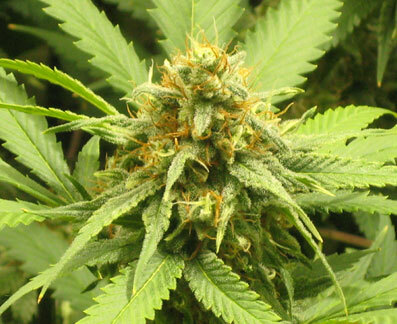 Could Ireland legalize medical marijuana? Despite the story having been pushed out of the Irish media limelight by the Brian Cowen 'Gargle-gate' fiasco, there have been several very important movements in the Irish medical cannabis question over the past few weeks, which have led many to believe that Ireland could be set to legalize medical cannabis within a couple of years. The first significant development took place on the 10th of September, just over 10 days ago, when Ireland's Minister for Health, Mary Harney, said that she would be 'open' to the question of medical marijuana and would solicit expert opinion on the matter with a view to making a decision on the issue by the end of the year. This was in itself a huge jump from days previous, when the Tanaiste had explicitly told the Oireachtas that she would not consider the idea of legalizing cannabis in any form. This was followed, shortly afterwards, by a meeting between Gordon McArdle,perhaps the country's most outspoken cannabis proponent, and Minister Pat Carey, the man with overall responsibility for Ireland's drugs policy. By the end of their sit-down, McArdle said that he was pleased by how 'open' the Minister was to the idea of introducing medical cannabis to treat a number of health problems, which furthered the notion that there had been a government-wide softening on the traditionally frigid medical marijuana stance. The biggest move of all though, is the drafting and submission of the Compassionate Use of Marijuana Act 2010, drafted by McArdle himself, which has been submitted and received by the government, and has attracted considerable media attention in itself, both on Irish television and radio. Although the exact provisions of the Act may not yet be workable, they're based loosely on a similar law in the United States, and it's believed that - if passed - the new Act would pave the way for the treatment with cannabis of various forms of cancer, MS, etc, but most importantly allow for the first time ever cannabis to be used for medical interventions in an Irish setting. And although deadlines don't seem to have been set yet, the fact that the necessary legislation is already in draft, while at the same time the government solicits opinions from experts in the field, together point to a shorter rather than longer timeline for all this to work out. So will Ireland legalize cannabis? Who knows, but check back before 2012!